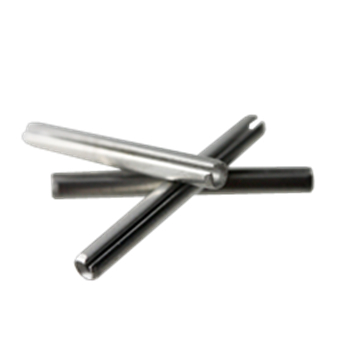 Spring Pins, or Roll Pins as they are also called, are hollow, headless pins that are slit longitudinally, having controlled length with chamfered ends, formed to a diameter somewhat greater than that of the hole into which it is to be assembled. Spring pins will hold it's position in an assembly by a predetermined spring tension. Springs pins are economical because they can simplify product design by replacing more expensive fasteners such as taper pins, set screws and straight pins.